"A2" Jettas are my favorite. 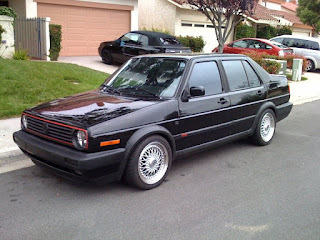 Sold in the US from 1985-1992 with the GLI being most-sporting. Much more character than the current models. 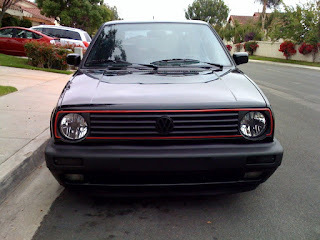 This 16v GLI is owned by a VW enthusiast who is also a service writer at a local dealer. Looks great with round lights and 16" BBS wheels. 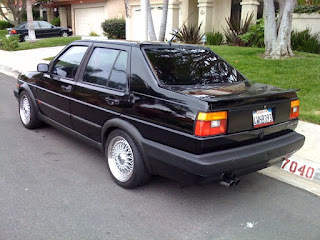 Maybe I'm partial to this era of Jetta because of my dad's great 1985 Jetta Diesel that was part of my youth. Even though it was saddled with a 52 HP diesel, with a 5-speed, sunroof and all-too-important tape deck, it was a lot of fun for a teenage driver.